I spent the afternoon yesterday with Kevin Cox, who lives in the Mardle Valley, is an RSPB Council member and heavily involved with Devon Birds. We talked about Devon birds, Devon Birds and the management of Dartmoor’s commons. Kevin has recently purchased part of Holne Moor from South West Water. 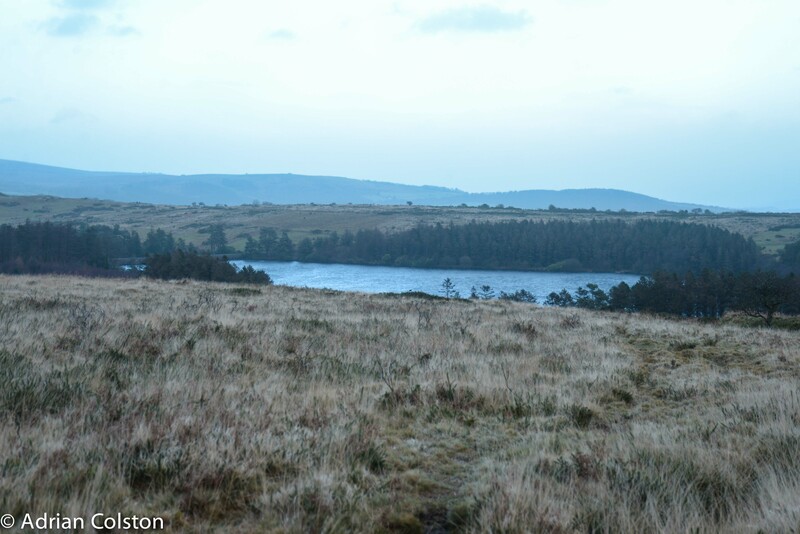 Holne Moor overlooking Venford Reservoir. We went up to Holne Moor to have a look around. A very interesting visit for me. 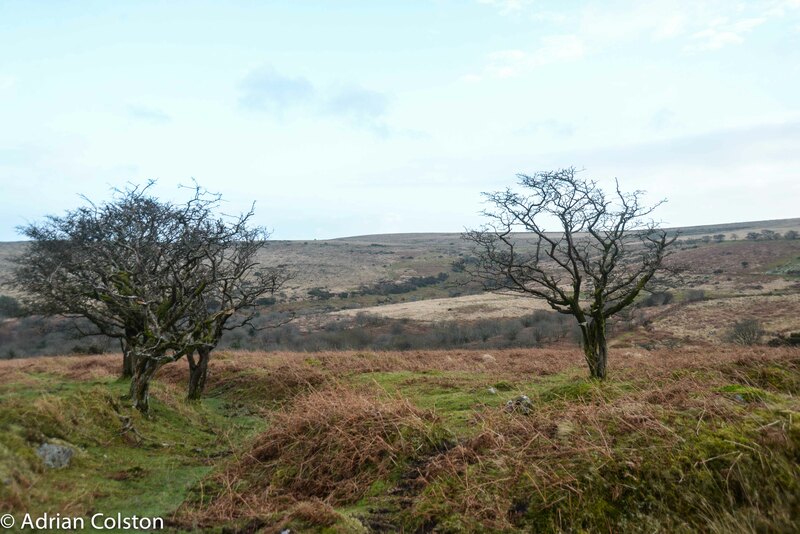 This is the key bird research area I have written about recently – the place where Exeter University’s Professor Charles Tyler, his team of research students and nest finders have been working (The Dartmoor Upland Bird Nest Group) – see here and here. This is the area where some of the key cuckoo research is taking place as well as being an area which supports high population densities of whinchat and meadow pipit. The moor is grazed and has a swaling programme but does have quite a lot of small trees dotted around the landscape – cuckoos need these small trees so that they can survey the landscape and see where the meadow pipit nests are. On many commons now these dotted isolated trees are absent and new regeneration is now difficult due to the grazing and burning pressure. The area is also very interesting as it gives a clue as to how natural flood management measures might work on Dartmoor in the future and play a part in ‘slowing in the flow’. South West Water have retained a belt of land around their reservoir at Venford. This area has been fenced off. 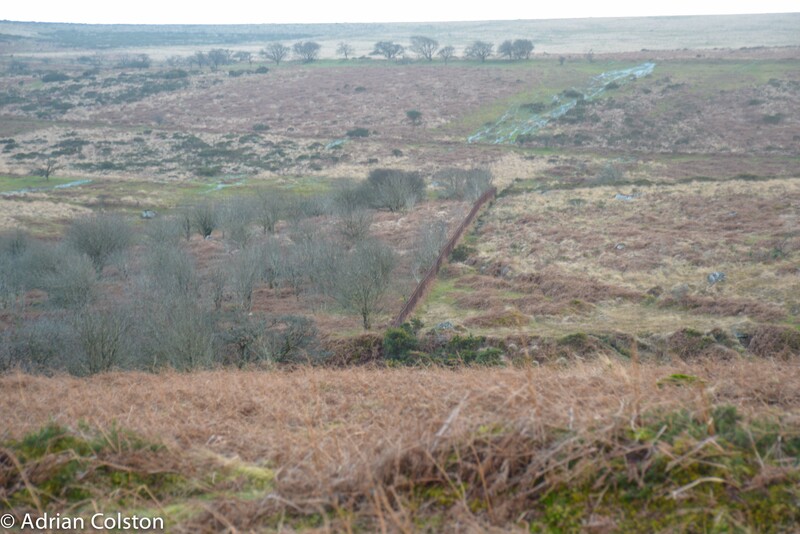 In this photograph you can clearly see the fence line – with grazed moorland to the right and the lightly grazed enclosure to the left. You can see that patches of light scrub have developed in the closure. Here is another view of that enclosure. These two photographs tell me a couple of things. 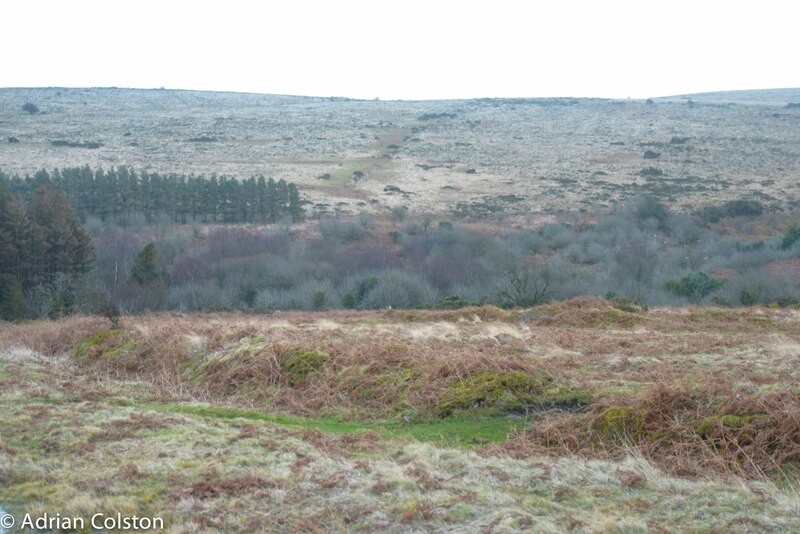 Firstly, if Dartmoor was not grazed, scrub and eventually woodland would quickly develop – the George Monbiot re-wilding scenario. Dartmoor is of course as I have said many times before an important historical and cultural landscape and therefore if the re-wilding scenario were to happen across the Dartmoor landscape then most of that would be lost. The landscape of Holne Moor is a good example of this as it has been ‘designated’ as a Premier Archaeological Landscape – see here for further details. 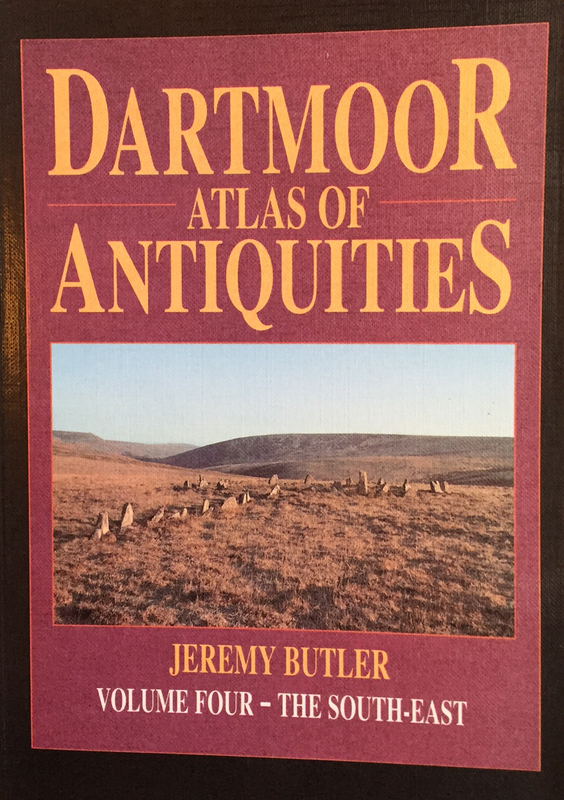 Jeremy Butler in his 5 volume Dartmoor Atlas of Antiquities sets out a detailed catalogue of the archaeological interest. The map and accompanying text details the importance of the area from the Bronze Age, through the Mediaeval period to the present. The challenge for all those involved with the management of such places therefore is getting the balance right between archaeological interests and biodiversity – both of which are of European Importance. I have written about this challenge before and it seems to prove intractably difficult to solve even though all parties are in fact pretty much in the same place – i.e. everyone wants a grazed landscape. As Kevin Cox said to me on site yesterday (I paraphrase) – the archaeology has survived on here on Holne Moor for thousands of years through the ebb and flow of vegetation and farming cycles, however at the moment there is a biodiversity crisis and we may only have 30 years to save some species such as the cuckoo. Surely there is enough flexibility and goodwill within the system to tweak a few management techniques and thereby work out how to enable the cuckoo (and whinchats, meadow pipits etc) to flourish (e.g. ensure there are perching places and enough food for cuckoos) – the work that the Dartmoor Upland Bird Nest Group are currently researching. The second thing that the two photos above tell me is how quick and easy theoretically it will be to naturally add regenerating trees and scrub to the landscape in very small but strategic places so that natural flood management schemes can help slow the flow. If enclosures were erected around specific stream valleys the developing scrub would quickly emerge and add ‘hydraulic roughness’. The areas of grazing land lost would be tiny and as long as the Commoners were compensated and not penalised as the current ‘ineligible feature’ nonsense currently would do then surely this too is a win-win for everyone. I thought yesterday was going to be dominated by Storm Imogen – it certainly seems to have around our coasts but inland it was pretty windy but in my experience was mostly dry and allowed me instead to make a new friend, see a new place and think more about Dartmoor and its management. This entry was posted in Cuckoo, Dartmoor, Dartmoor birds, Dartmoor Farming, Dartmoor weather, Dartmoor wildlife, Re-wilding, Rewilding, Uncategorized, Wildlife and tagged Charles Tyler, Cuckoos, Flooding, Historical landscapes, Holne Moor, Kevin Cox, Scrub, Storm Imogen, These, Trees mitigating flooding, Whinchat. Bookmark the permalink. Excellent article, thank you. I really hope people can agree to this partial roughening of the landscape you describe. I would love to see more of that in Mid Wales and the Beacons near where I live. It would be great to see more biodiversity developing. I am an ex farmer and have written in support of Mary Alford’s view of Dartmoor. Simon Thorp has many points that I agree with and I was hoping that there may be a consensus that Dartmoor Commoners would agree on! If you agree that a farmed and grazed landscape on Dartmoor, as it was 25 years ago, would be the way forward perhaps we could agree on some points that have been researched by Dr Fraser , Ibers Aberystwyth, also North Wyke and records kept by upland farmers.? 1 NZ using genetic data from their cattle have improved exports to China by 460% . U.K. Imports nearly 50% of its food . Farmers Weekly editorial. 2 U.K. Has as many acres in unproductive purple moor grass and carcinogenic bracken than wheat! 3 Conservation research confirms cattle grazing molinia hard ( purple moor grass) can reduce Molinia area by 60% . Also Dr Fraser. 4 Outwintered cattle can trample and reduce bracken by exposing fronds to frost. 5. Cost of keeping a single suckler native (600 to 700 kilos) Spring calving cow on deferred grazing or foggage costs through the winter costs £100. ( on Plynlimon) 2.5 kg for 180 days at .20p pr kg is about £70 plus crystalix blocks all year round is about £25 per cow. Christopher Evans Highland cows, Nantymoch .Plynlimon. 6 Outwintered cattle can improve habitat and Heather to its former condition, 25 years ago. Results from Galloway sucklers winter grazing Molland Moor, Exmoor. 7 CRWNANT-FACH RHOSSES upland field in Wales, cattle and sheep grazed all the year round for 40 years, has more than 106 named wild flowers despite trampling in Winter. 8 Mixed grazing with Cattle Sheep and Ponies produces more grazing, insects and wildlife. RSPB diagram available. 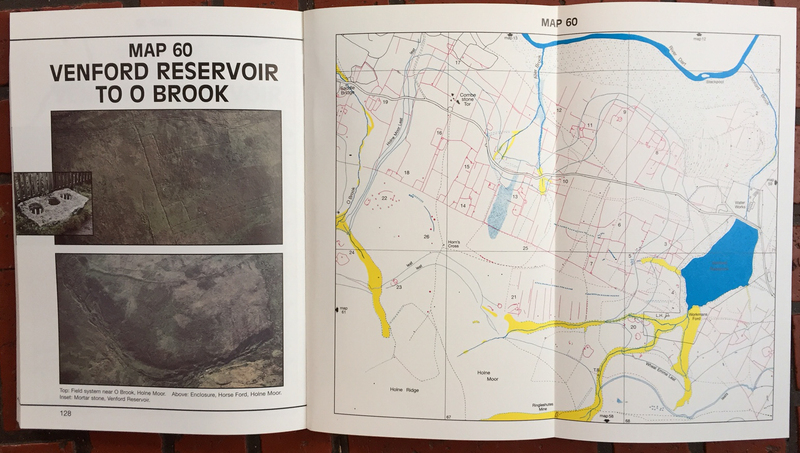 9 Partial Blocking tributaries from uplands will reduce flow to rivers liable to flood better than digging into pristine 8000yr old blanket bogs that drain naturally from Dartmoor. 10 North Wyke and IBERS Aberytwyth have bred festuca X lolium deep rooted grass that will absorb more rain than trees. 12 RHS today say that a research paper in Nature Magazine on insects say that 50% of nectar that insects including bees and honeybees need come from Heather Erica and Calluna and White or Dutch clover. Thus it’s important that white clover in pasture is allowed to flower. Can you help on this?